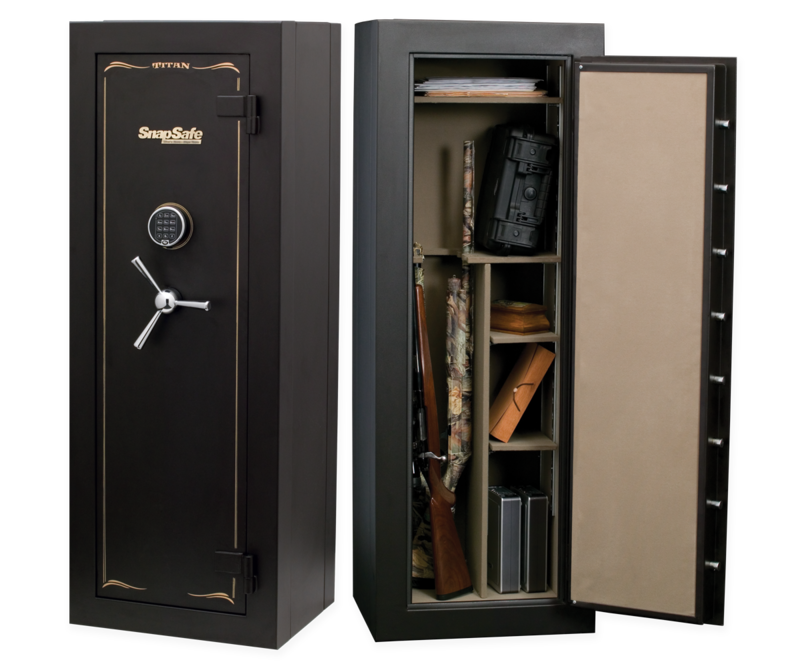 Here’s all the security of a conventional, welded safe in an easy-to-assemble valuables and closet gun vault that moves anywhere piece-by-piece, then locks together in minutes with no tools. Measuring 59” high and 17 1/2” deep, Titan home fire safes fit in any closet - out of sight - giving your documents, valuables, firearms and jewelry protection from fire and theft. The Titan modular safe turns any closet into a closet vault. Titan features a 9 slot full gun rack. The recommended capacity is 12 long guns when stored in sleeves with the muzzles up and down, less if your guns have optics. Economical to ship. Easy to move and assemble. 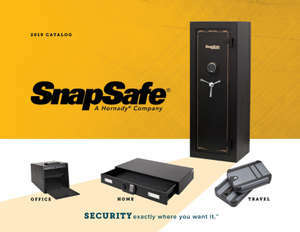 Your SnapSafe Modular Safe is delivered right to your door. You carry it piece-by-piece to any location in your home and then easily assemble and install it in minutes with no tools - even in an upstairs closet. SnapSafe modular safes offer exceptional fire protection. While no safe is totally fire proof, the MgO interior panels and ceramic insulation offer one hour of protection against temperatures up to 2300°F. In addition, SnapSafe door gaskets expand 20-times when heated, offering further protect against water and smoke damage. The UL security listed SecuRam keypad system features non-volatile memory that retains the combination even when the battery is removed. The heavy 3/16" solid steel door of the SnapSafe modular safe is sledgehammer and pry-bar resistant. The body panels of our modular safes lock together from the inside. Their 2-piece welded steel plate construction provide a 9-gauge thick exterior wall. The Modular Assembly System locks the walls together from the inside. Once closed and locked, the safe cannot be disassembled from the outside. Eight live-locking bolts plus and a non-breech seal on the hinge side of the door provide professionalgrade protection not found in most residential safes. Your safe can be configured to fit a variety of needs. Each safe comes with one full shelf, one full gun rack, two half shelves and a divided shelf. Additional shelves can be purchased separately. Internal panels are made of magnesium oxide (MgO) and are nearly impervious to fire, moisture, insects and mold.